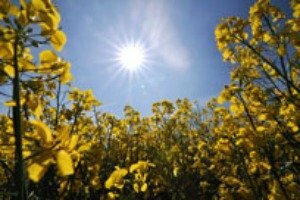 If biofuels received no EU policy support, the price of food stuffs such as vegetable oil would be 50% lower in Europe by 2020 than at present – and 15% lower elsewhere in the world – according to new research by the EU’s Joint Research Centre (JRC). When more soy and palm oil are used for biofuels production, less is available for food use and the resulting scarcity drives food price inflation. “Given that more than half of the vegetable oils are used for biodiesel production in the base (business as usual scenario) in 2020, any decrease in biodiesel production strongly affects the vegetable oil market,” the JRC study says. Under the EU’s proposed cap on first generation biofuels, vegetable oil use for biodiesel would be 28% lower than in a business as usual scenario. And if the biofuels policy were scrapped, the decrease could reach 75%. The resulting fall in EU food prices would be so much greater than the global price cuts because, at world level, only 17% of vegetable oils are used to produce biofuels. The report was published on 5 September, as the European Parliament was preparing for a make-or-break plenary vote on Wednesday (11 September). That ballot could cap the amount of first generation biofuels allowed in the EU’s 2020 transport energy mix, and introduce land use factors to distinguish between the fuels that are best and worst for the environment. If the EU maintains its current policy – with no production cap or indirect land use change (ILUC) factors – the JRC report finds that world food prices would not change significantly. Under the EU’s proposed production cap, global prices would fall by around 8%. But ending Europe’s pro-biofuels policies could cut food prices by 15%. The significance of EU policy on biofuels can be measured by the fact that without an EU target incentivising biofuels use, “close to 6 million hectares (0.7% of world total) less cereals, oilseeds, sugar crops and palm oil would be harvested in the world in 2020,” the report says. This in turn would reduce the demand for arable land, with positive knock-on effects for deforestation and displaced agricultural land use. “The EU's stated goal is to decarbonise our transport fuels, but this is simply not possible if we don't count all the carbon released when new land is converted to grow fuel,” Nuša Urban?i?, the clean fuels manager for green think tank Transport and Environment told EURACTIV. However, the key findings of the JRC’s paper were flatly contradicted by a study published on the same day by the Ecofys consultancy for ePURE, Europe’s bioethanol association. It found that ethanol was not currently causing major food price increases. After a preliminary look at the JRC’s new research, Emmanuel Desplechin, ePURE’s energy director said that he thought it was in line with the Ecofys study where ethanol was concerned. He declined to comment on the vegetable oil price claims in the new paper. He referred specifically to a progress report by the European Commission’s energy directorate last March, which also estimated that grain use for bioethanol production had only a “minor” price effect on global cereals. Other studies, such as a ‘review of the evidence base’ by the Institute for European Environmental Policy in 2012 toted substantially higher price rises from the available studies of up to 13% for ethanol crops such as wheat, and 21% for sugar cane/beet. In April, the UN Human Rights Council’s special rapporteur on the right to food expressed “deep concern” at the negative impacts that EU biofuels policy was having on food security in the developing world. The new study was prepared by the JRC’s Institute for Prospective Technological Studies, using an Agro-economic Modelling Platform, for the Commission’s Agriculture directorate. It projected changes in land use and food prices according to baseline scenarios that applied variations of current EU targets and a counterfactual scenario with no EU targets. Other JRC papers expected soon will examine issues including the historic impact that ILUC has had on deforestation. 1 Prevent biodiesel producers or oil companies from using fresh oil suitable for human consumption for the production of biodiesel. This leaves used oils, animal fats and non-edible feedstock like jatropha for the production of biodiesel without affecting the price of edible oils. 2 Drop the mandatory blend of biodiesel into diesel (up to 20% in 2020. This EU directive has triggered a gold-rush like run on vegetable oils worldwide. It has driven small biodiesel producers into bankruptcy. It has driven demand up to a level that big oil companies will happily lose money on the biodiesel portion of one gallon of blend, while making up the loss with the diesel portion. Imagine what this means to companies that want to sell 100% biodiesel. The positive effect of the mandatory blend on the environment can be disputed, considering the impact it has. It’s completely different from the original idea of using locally available waste oil to produce biodiesel and to power diesel engines as an alternative to fossil fuel. The only thing the EU achieved is to drive every drop of biodiesel into the hands of big oil companies, including the biodiesel from oil that should have become food instead of fuel first. One factual correction. The IEEP report you cite is clear that the most robust estimate of an uncapped ethanol mandate in the EU is global price increases of sugars and cereals by 0-2%. It does not endorse as probable the much higher numbers you cite; it only says that other folks have estimated impacts that high. Please correct your piece. Over the past two years, all the peer-reviewed results (and no peer-reviewed JRC paper has been published recently) of all the new research comes in within the 0-4% range. This is a weighty statement about the current scientific consensus, quite important to the current debate. Il-kwistjoni hija ?ara. Nag?mlu Bijofjuwils minn ?sad g?all-ikel jew l-art me?uda minn ?sad g?all-ikel hija ?baljata. Hemm sorsi plentious ta Bijomassa madwar inklu? dak mill-Iskart b?al Sorsi Muni?ipali. Ikel Ikel u Xorb Produzzjoni Agrikoltura Biedja Park Gardens Artijiet u skart Foresti e?? u ?ama tad-drena?? u demel tal-annimali huma wkoll sorsi tajba g?al dawn il-Bijofjuwils. Dawn is-sorsi ta ‘bijomassa ma jaffettwawx prezzijiet tal-ikel. Dan huwa g?aliex Applikata Bijofjuwils hawn fil-Mediterran u fir-Renju Unit kienu jippromwovu ?viluppi ta tag?hom kif huma jkunu hawn fi Sqallija, Gre?ja Sardinai Malta u l-I?rael. There is no question that the use of Food Crops to make Biofuels is immoral as well as costly for those that rely on these staple foods for their existence. It is for this reason that the uses of Non-Food based Biomass is the way forward as is being developed in the Applied Biofuels Malta Limited facility where a programme that is costed at €100+ Million to deliver around 90 to 100+ Million litres of the biofuel Ethanol a year – sufficient to replace all the gasoline needs in Malta – which was announced by the largest Companies in both Korea and China as to be part of their interests is now about to start construction. This programme which also includes major plants in Sardinia Sicily Italy Spain Portugal Greece Bulgaria Cyprus and Israel is the way forward for all. Making these biofuels for barely €urocents 20 per litre is without a doubt the right way to go, and the availability of sources of biomass that are readily available froma myriad of sources including wastes and macro-algae is definitely better and non-competing with foods. As we read the press in Malta last week and we saw this repeated in the Korean and Chinese newspapers it seems that the Asian Mega-Economies have realised that this methodology of making biofuels as proposed by Applied Biofuels from Malta which uses traditional dilute-acid hydrolysis without enzymes and genetically modified organisms is the most cost-effective procedure known and beats these and the gas-to-liquid processes hands-down.